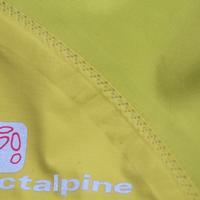 Production, Made in Europe - Direct Alpine s.r.o. 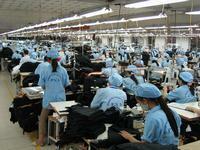 Majority of DIRECTALPINE clothing is manufactured in several local sewing workshops. Each of these workshops specializes in particular kind of garments and so employs specially trained tailors. These workshops are also responsible of the whole guarantee and after-guarantee service of DIRECTALPINE products. Thanks to quality double-check before leaving the workshop as well as leaving the dispatching stock we can ensure maximum quality of all DIRECTALPINE products. Repair demands or complaints are therefore really rare and so we can deal with them quickly and to customer’s full satisfaction. Production in the Czech republic, at close quarters to our headquarters, allows us to react flexibly to all customer’s requirements, e.g. sew missing or sold-out garments in no time, overall, to provide quick and quality service to, not only, company clients. All outdoor fans and enthusiasts, users of our products, value quality and speed of service we provide with all DIRECTALPINE products. Even company clients, usually even more demanding in their requirements, come back with other or new requirements for company clothing, uniforms, clothes for benefit-programme or as VIP-gifts. Due to non-existing effective market protection and insufficient awareness of end customers, Czech textile and fashion industry suffers long term recession. Most of the current modern textile technologies is being developed off-continentally and therefore it is necessary to have part of our production located abroad. Our main partners are, exclusively, specialized, technology-oriented companies, mostly from Japan, Korea and Vietnam. These companies have their own top-level development and are equipped with up-to-date machinery needed for e.g. ultrasonic stitching, laser trimming, laminating, welding; so they represent the best in the field. This background ensures high quality production, speed and accuracy of processing and, last but not least, quality work place and employees’ safety. Common are inspections as well as constant quality-checking. By keeping the majority of DIRECTALPINE production inland we support local region, workforce and employment. And it also allows us react flexibly to requirements of customers, business partners and company clients. We guarantee quick and no-time execution of every order; not only those for our outdoor clothes, but also special order for uniforms, company clothing, clothes for benefit-programme or as VIP-gifts. Abroad division on the other hand enables us to use the most modern technologies and offer our customers high-quality clothing of European standard.